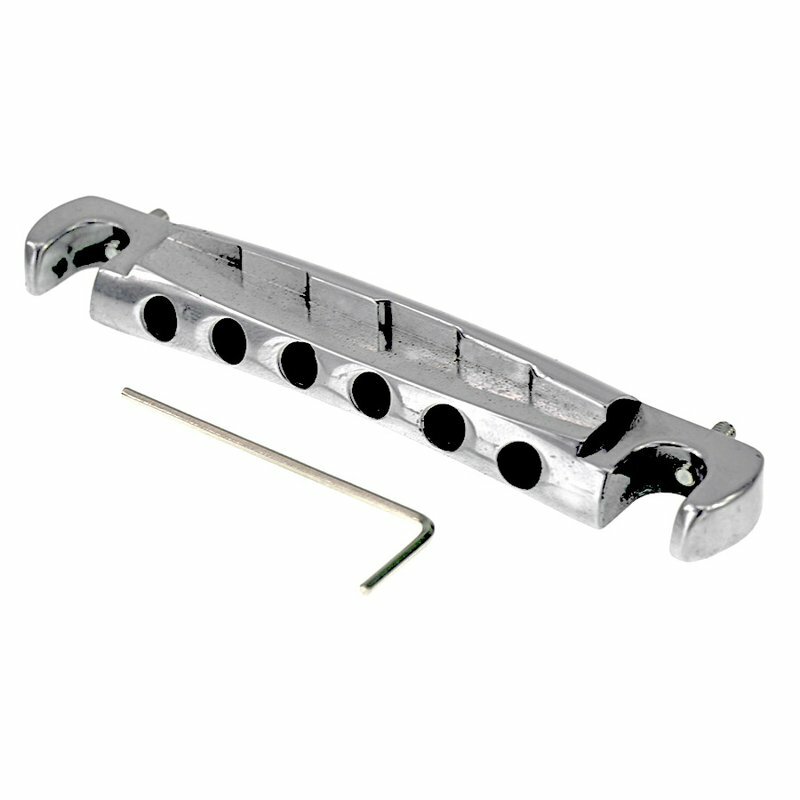 TPWCL-'59 Vintage Spec ALUMINIUM COMPENSATED WRAPAROUND Tailpiece, Left-hand version: Lightweight aluminum compensated wraparound tailpiece based on a historic correct '59. Tired of playing only to the 7th fret? This is the solution! Put one on your vintage guitar to get perfect intonation, while storing and preserving your original. Allen screws on both sides, comes with Allen wrench for adjustments. Nickel aged finish.